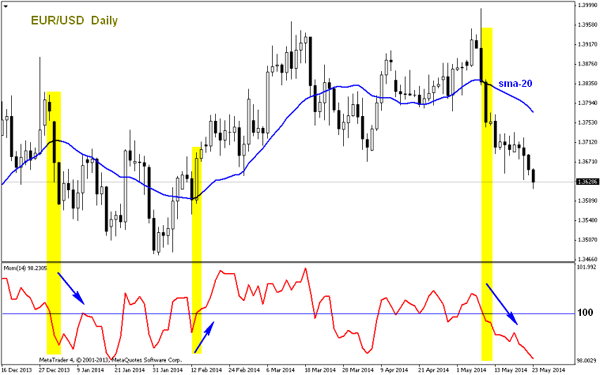 The Momentum Indicator forex is a technical indicator created from simple calculations by measuring the difference in prices Close today compared to Close price a few days before. Easy isn’t it? Now the application is even easier because on the Metatrader4 trading platform, Momentum indicator available in the Oscillator indicator list. So traders don’t need to manually calculate it themselves. and as a leading indicator with signs of divergence occurring. In the Metatrader trading platform, momentum indicators use level 100 as a reference. If the momentum indicator line crosses the 100 level from the bottom up, then the price movement will tend to be bullish, and vice versa if crossing the level 100 from top to bottom then the price movement will tend to be bearish. To filter the direction of the trend in order to obtain momentum entry with a high probability, a simple moving average indicator can be used, for example, a period 20 SMA as in the example of the EUR / USD daily above. 2. As an indicator of the continuation of trend or trend reversal. In this case, the momentum indicator can show overbought and oversold levels like the RSI or stochastic, but because the overbought and oversold level zones cannot be determined (relative), we must pay attention to extreme conditions with certain assumptions. If the momentum indicator reaches the highest or lowest level (relative), we must assume the direction of the trend will continue as before until the price movement changes. For example, if the momentum indicator reaches the highest level, then goes down, we assume the price will still up. And we will only to open sell entry if the price has really dropped. The direction of the arrow indicates the continuation the trend because price movements are still above the moving average line. Divergence can have meaning as a false signal. When the indicator signals a rebound, the price moves down. When the price gives a correction signal, the price actually moves up. Look to the square sign. It can be seen that the momentum indicator gives a sell signal, but the price instead of going down, it moves sideways tend to rise. Then in the second picture, you can also see the momentum indicator giving a sell signal, but the price actually moves up. Bullish divergence which indicates a trend reversal (from bearish to bullish) is if the price movement shows a lower level lower than before (lower low), while the momentum indicator shows a low level higher than the previous low (higher low). Conversely with bearish divergence, If the movement shows a higher level than the previous. But the momentum indicator shows a high level lower than the previous high (lower high). Momentum indicator like as another indicator in general, which is not independent. The use of momentum indicators should be combined with other indicators, such as the stochastic oscillator, moving average, MACD, RSI etc. As a trend-following Oscillator, the Momentum Indicator is similar to Moving Average Convergence / Divergence MACD, but the indications are different. If the Momentum indicator is above 101, then the price moves faster upwards than 100.5. While the number 98 means the price moves stronger downward than the number 99. Remember that you may only use this indicator after performing the correct test and together with a solid trading plan. Do not use indicators if you are not accustomed to using the main features and main reactions to various market conditions on ordinary trading days. Some trading indicators may be very useless, for example when volatility is too high or too low. So understanding and proper research on the tools you are adopting in a trading plan is very important to understand. 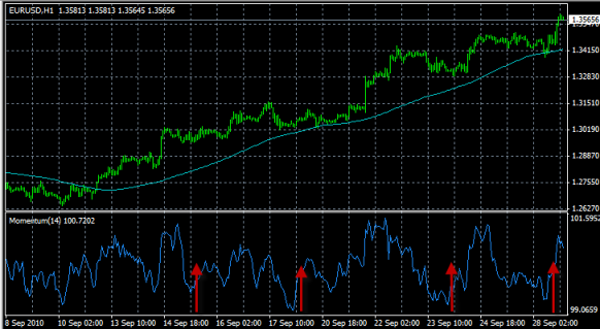 Momentum indicator can be used on forex and stocks, but of course as a trader need experience and really understand. 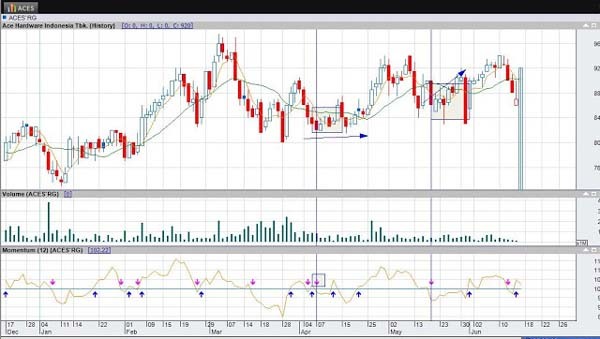 Previous story How To Trade Triangle Chart Patterns?